Los Angeles residents love ridesharing services. They give us a reasonably priced and convenient way to get around our enormous, sprawling city whenever driving ourselves isn’t an option. However, Uber and Lyft drivers are not any more immune to injury-causing collisions than anyone else and, when accidents occur, a knowledgeable and experienced Los Angeles Uber accident lawyer can make all the difference. This is especially important because Uber has a $1 million liability policy that covers many accidents involving an Uber. 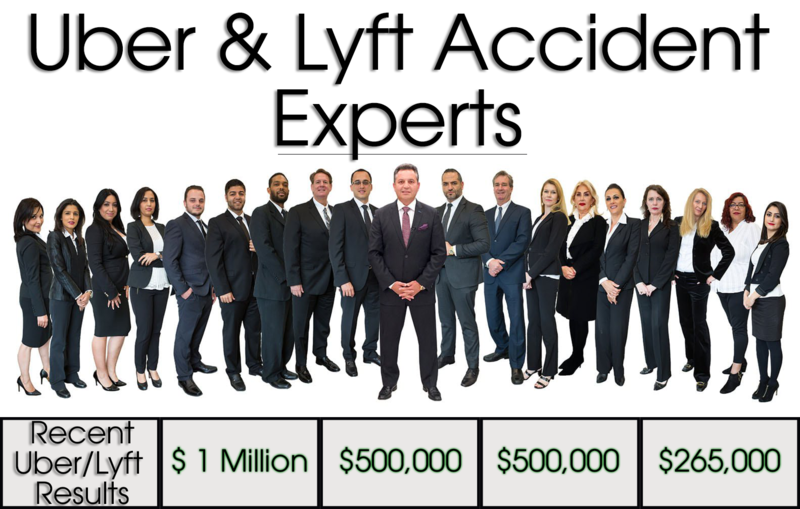 A leading Southern California personal injury law firm, The Law Offices of Burg & Brock has helped many victims of ridesharing-related accidents who require a Los Angeles personal injury attorney, and we are here to alert ridesharing accident victims that appropriate compensation can be highly achievable. Most ordinary drivers carry only enough car insurance to protect their assets. For individuals without much property or other assets, it’s typical to carry only the legally required amount or $15,000 per person and $30,000 per accident for injuries. That means that being the victim of an accident caused by a driver with few assets typically limits an individual’s ability to obtain financial compensation. The situation changes dramatically, however, when a ride-sharing vehicle is involved. What does this mean for for someone in a Los Angeles Uber Accident? If you or someone you love was injured in circumstances like those above, there is a very good chance that he or she might be able to recover all or most of their financial and other loses. While no amount of money can ever fully compensate for the pain and suffering that comes with a serious accident, appropriate compensation can make the recovery process a great deal less stressful, and speed the path to resuming a normal life following an accident. With a 98% success rate and over $200 million in damages awarded to clients, Legal Defenders is widely regarded as among the nation’s finest personal injury law firms. Our decades of experience as expert legal counsel and skilled litigators have made for a consistent record of outstanding outcomes for our clients, both in terms of court awards and settlements. If you are interested in seeing whether it makes sense to take your personal injury case to Legal Defenders, please call us at the number on this page. You can also reach out to us via e-mail through our online contact page. Our entire legal team looks forward to helping you and your loved ones get the compensation you deserve.